Renoun leadership consultant, Samuel R. Chand details the account of the construction of the Panama Canal, and draws parallels between it and successful leadership methodology. Once the Spanish explorer Balboa climbed the mountains of Panama and saw the Pacific and Caribbean separated by a narrow isthmus of land, it has enticed and challenged leaders who saw fantastic opportunity in connecting the two oceans. In the late nineteenth century, the French tried and failed to dig a canal, but with incredible vision, grit, and skill, the Americans completed what others deemed impossible. By going through the canal, ships cut months off their travel time and saved millions for company owners and customers. In recent years, the canal has been widened to handle larger ships and carry more cargo. The American Society of Civil Engineers has designated the Panama Canal one of the seven wonders of the modern world. 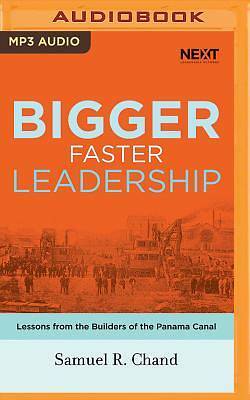 Acclaimed author and leadership consultant, Samuel R. Chand, doesn't just see a story about two connecting oceans in the Panama Canal, he sees a metaphor for bold leadership. Each aspect of the development and expansion of the canal relates to the challenges of leadership. The courage, tenacity, and skill of the builders are the same traits necessary for leaders in business, nonprofits, and the church. In The Channel of Leadership, Chand tells the story of the Panama Canal and finds practical leadership principles for today's church and organizational leaders. If you're a leader with a large vision, consider embarking on a journey of creating a wider channel of leadership.